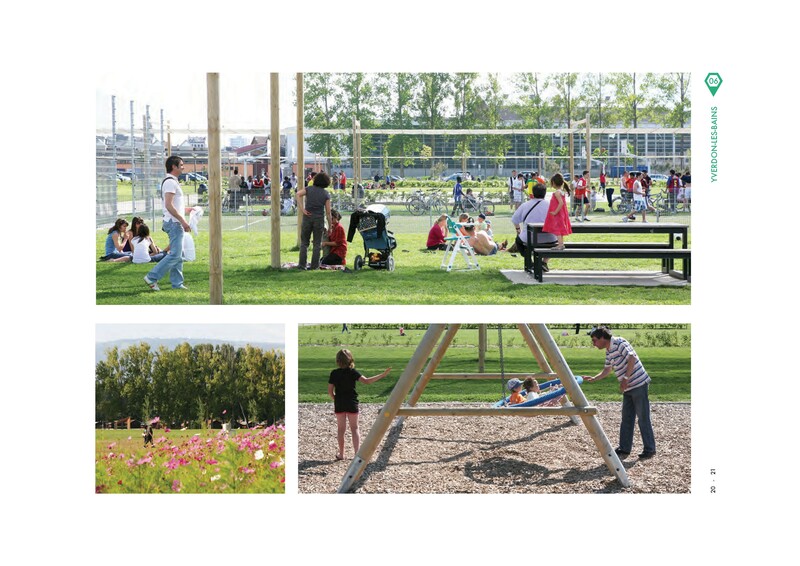 Connection between the city of Yverdon-les-Bains and the lake by a waterfront sports public park of 20 ha on the former site of the Expo 02. An urban park with strong identity, structured by a series of themes following the geometry of the verges of the rivers and canals, and by lines of poplars. The different areas, like a multitude of fields, are designed for different uses: sports, games, pic-nics, rest, shade… In the center a large open prairie. A “low cost” park, based on principles used in agriculture, fruit, and vegetable farming. Hochparterre price: Bronze Rabbit 2007. 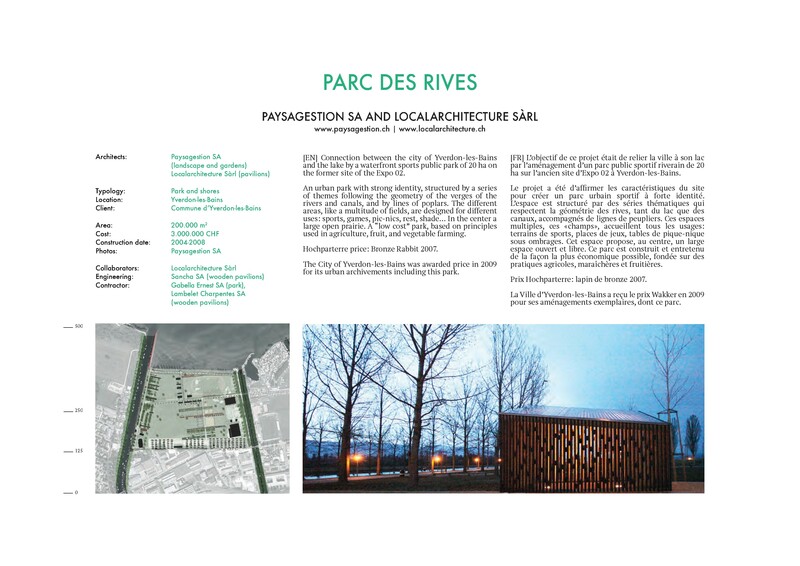 The City of Yverdon-les-Bains was awarded price in 2009 for its urban archivements including this park.